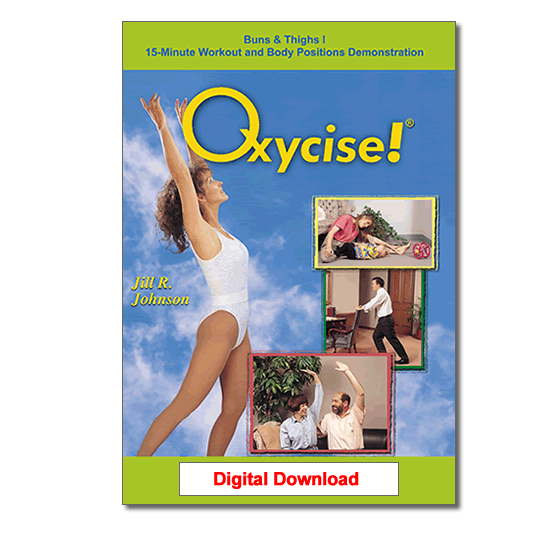 Buns & Thighs 1 Workout MP4 – Oxycise! Target those hard-to-lose places while you increase your general well-being in this energy-packed workout. Finally a do-able system that gives measurable results. Check Out These Great Results! “The other evening my husband commented that my behind looked firmer…now wouldn’t we all like to hear that from our husbands or partners??? I was very happy that he commented on one of my least favorite areas!! Oxycise! Buns & Thighs 1 is a more advanced workout.It should only be used after mastering the Oxycise! Basic Breath and Techniques.